Knowing proper barbershop and salon etiquette is an important part of your salon visit and getting a better haircut. 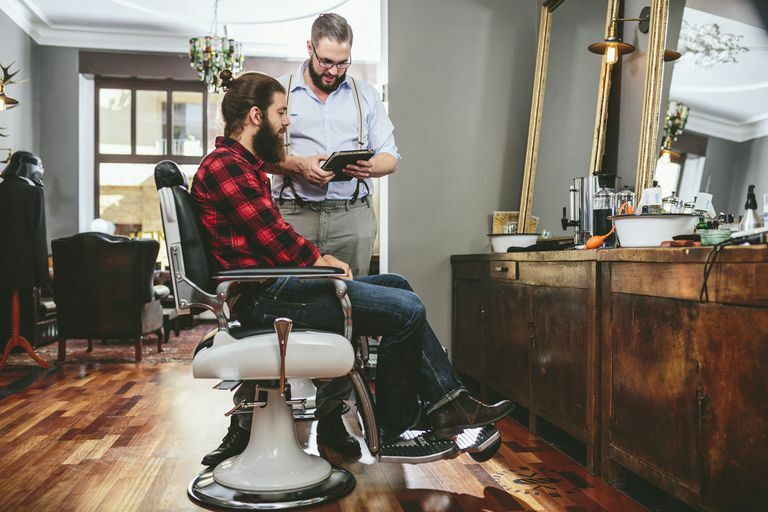 Let's take a look at some of the common things clients do that can make a barber or stylists job easier and help you become their favorite client. This is one of the biggest problems I often have with a client, especially when doing shorter precision work. Clients will often move unexpectedly (whether it is to grab their phone, sneeze, or simply try to get more comfortable). Being still is important to ensure the person cutting your hair doesn't make a mistake -- if a client moves even an inch or so at a critical time during the haircut, the result can often be a choppy area (or worse). I once had a client reach for his cell phone while I was buzzing around his ear and end up with a bald stripe in the side of his head. If you have to move, be sure to warn your barber or stylist first (or do so when they're not cutting). For appointment driven shops, a client who is running late can often make the barber/stylist run behind on several clients (or cut corners to get the late client finished early so as not to run behind on the rest of their book). If you are running late, call to let them know so the shop can try to accomodate you. Do you really want someone rushing through your haircut because you were running behind? Of course, part of the process of getting a haircut is the consultation part up front where you talk to your haircutter and decide what style you're after. Once this process is complete, let the barber or stylist do their work. There are few things more frustrating than reaching the end of a haircut and hearing a client say, "can we go shorter?" This can often result in having to re-cut the entire head. If you're haircutter works by appointment or if the shop is busy, you're sure to get a rush job. If you really must change your mind during a haircut, try to do so before you're too far into it so the barber or stylist can adapt before the haircut is finished. It's important to keep in mind that cutting hair is tough work -- barbers and stylists spend an entire day on their feet with their arms in the air. At the end of the day, they are ready to get home and relax. Clients who rush in at the last minute will often be faced with a tired, annoyed stylist who may rush the job to get home. Even if they don't, they're likely tired and may not be at their best. It's always best to get in and out early! I've got this client. His name is Billy (and I hope he reads this). Billy always comes in right after going to the gym. He's sweaty and stinky and his hair can be a bit gross. Even if we shampoo his hair, the rest of him is still stinky and sweaty. To make the most of your visit, always try to come in for a haircut having freshly showered (preferably with no product in your hair). I once had a guy come in after spending a day tarring a roof without showering. And he smelled like it. There's nothing worse for a barber stylist than having to deal with a guy who's gross. Every try to cut hair without actually touching a client? Believe me, it isn't an easy task! Communicating with your barber or stylist during the haircut is important and you can't do that if you're on the phone. Not to mention that it's really just downright rude. Before coming in for a haircut, turn your cell phone off and let the time be relaxing and give you an opportunity to unplug and unwind. I have fired clients for talking on their phones during haircuts. I've got another client, his name is Ryan. I don't think I've ever seen Ryan come into the shop without a hat on his head. Ryan normally gets a shortish clipper cut, which I like to do dry so I can see exactly how the haircut is blending. The problem is with Ryan's cut is that it is impossible to see the blend with that big ol' hat line in his head (I normally have to shampoo him and dry him, leaving me less time during his haircut to focus on the cut itself). As we discussed above, it's always best to come in clean, dry, and free of products and hats. 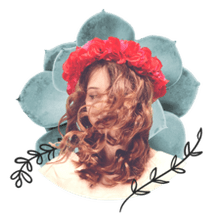 Often, a stylist will want to see how your hair behaves naturally so they can create a style that works with your hair's natural growth pattern. This can't be done if your hair is mashed down by hat head. Barbers and stylists depend on tips for a large portion of their income, so be sure to tip well. Believe me when I say how you tip you barber or stylist is important -- they'll remember the great tippers (and the bad ones) and will serve you accordingly. It never ceases to amaze me that some clients can be downright rude to the person who is about to cut their hair. Some would assume a barber or stylist is "beneath them" and not as well educated and, thus, not deserving of respect. This far from the truth. Everyone who cuts hair must be educated (we have learn all sorts of things including diseases of the skin, bones of the face, chemical compositions, technical work, etc.) and being a barber or stylist involves much more than just cutting hair. Most of us have continuing education requirements which means even more education. Most people behind the chair aren't lazy or stupid and they deserve respect. Being rude or disrespectful to the person who is going to cut your hair is just a bad idea if you want a great cut. I've fired clients for behing rude. Of course, it's important that the barber or stylist be polite and respectful in return (if they're not, you should fire your stylist). The above items are just a few of the pet peeves many barbers and stylists have with clients and should be avoided. Of course, as I mentioned, it is important that the person cutting your hair treat you with professionalism and respect at all times as well. Building a great relationship with your haircutter is essential and it starts with a mutual respect for each other and open communication. Your salon experience should be enjoyable (for the stylist as well) and leave you feeling renewed and looking great! Barber vs. Salon: Which Fits Your Style?